Weekly Photo Challenge: Fresh | Oh, the Places We See . . . The gift was unexpected. A thank-you gift for hosting a shower from a bride-to-be who now lives in Portland: this lovely bamboo cutting board in the shape of Oregon. And a sweet little box with a thank-you note attached. And inside? The freshest of eggs from her mom’s Rhode Island Reds. Doesn’t get any better — or fresher — or nicer — than this. For more entries in the WordPress Weekly Photo Challenge: Fresh, click here. This entry was posted in Oregon, Weekly Photo Challenge and tagged cutting board, eggs, fresh, Oregon, postaday, Rhode Island Reds, Weekly Photo Challenge: Fresh. Bookmark the permalink. Thanks for that comment. And you are so right — a heartfelt gift. You are so right – it doesn’t get much better than fresh eggs. 🙂 What a nice gift. A nice gift indeed. The older I get, the fewer “things” I need for my home. So I really appreciate the gift of homemade food, a drawing by a child, fresh eggs, etc It’s the little things, right? What fun to have something like a cutting board in common. We also need one in the shape of Tennessee, especially since Peggy was a Vol! 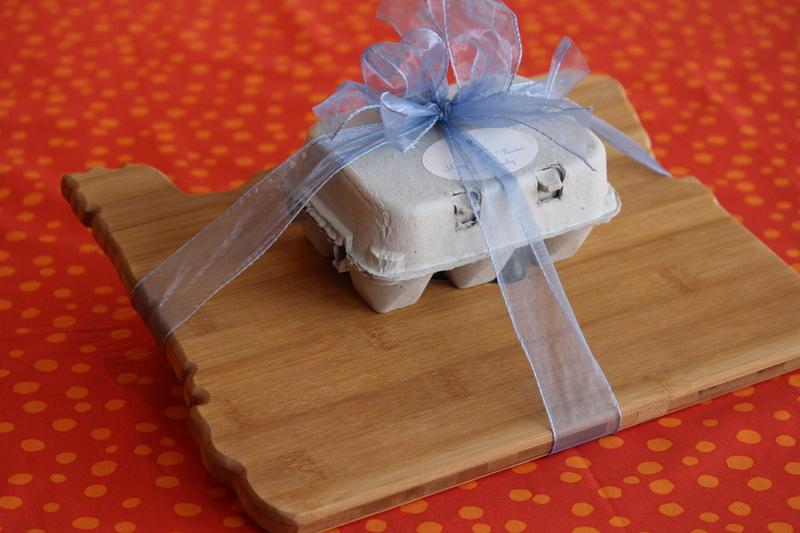 What a great gift, fresh eggs are wonderful. Karen, you are so right — fresh eggs make a great gift. Best wishes for a happy spring. A lot of things came to mind, Melissa, when I saw that post. But it was just coincidental that we would receive fresh eggs this past weekend. So, my post was done in a flash! Thanks for taking a look. You’re exactly right! It was lovely and thoughtful — but that’s just the kind of people they are. Thanks for stopping by the blog. It really was a creative gift. I’ve never received fresh eggs before, and we’re enjoying them this morning. Thanks for being a co-hostess! 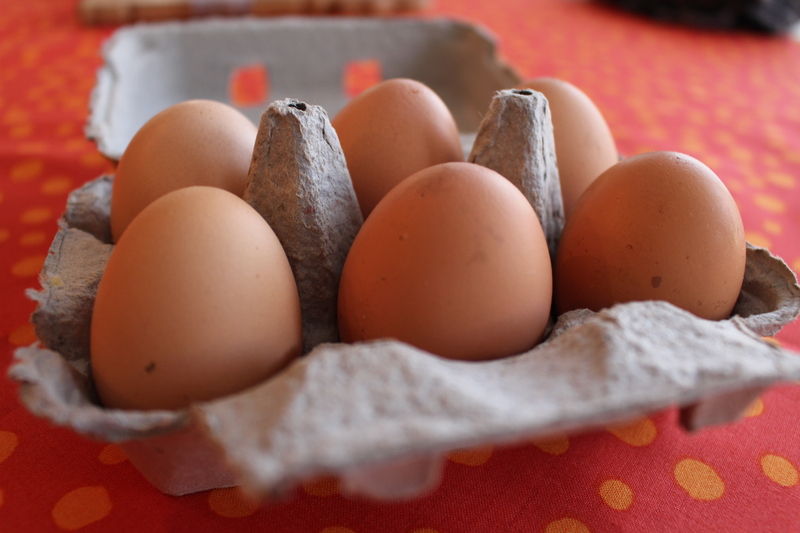 Fresh eggs in the spring…perfect. Thanks for taking a look. 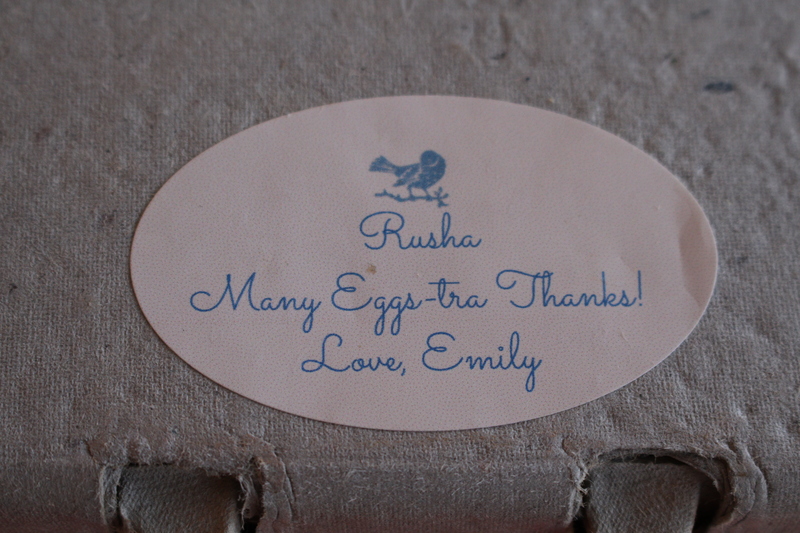 I love these eggs and the fact that they were a gift! Thanks for taking a look. I love this gift! !